Spring is starting to, well, spring, and I can't wait! 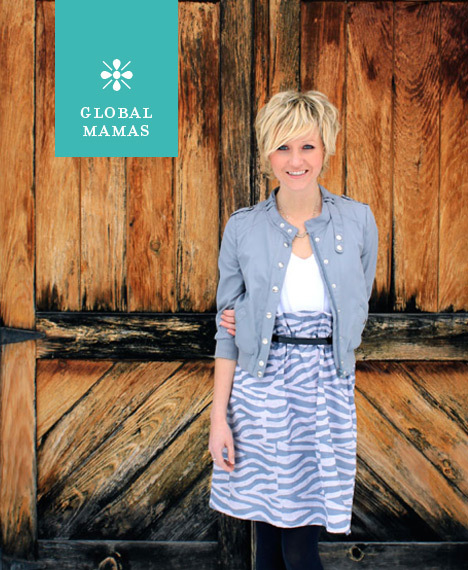 I've missed the days of bright skies and colorful clothing that comes in the warmer months. 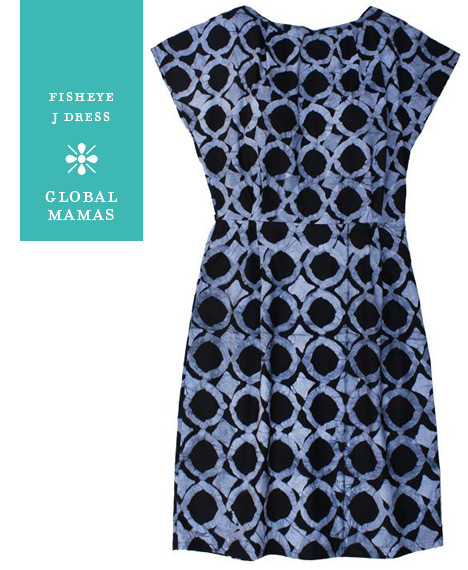 So these pieces from Global Mamas (launched in 2003) are definitely hitting the spot — especially since they're fair trade and support the hard-working women (and some men) in Africa who craft them. 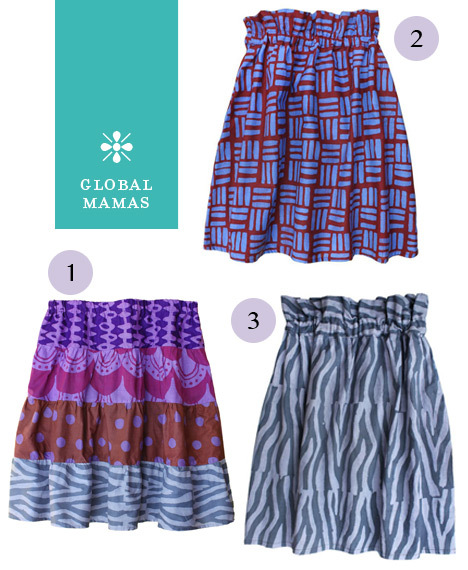 I am beyond in love with that gray-and-white zebra stripe skirt...which one is your favorite? love these. 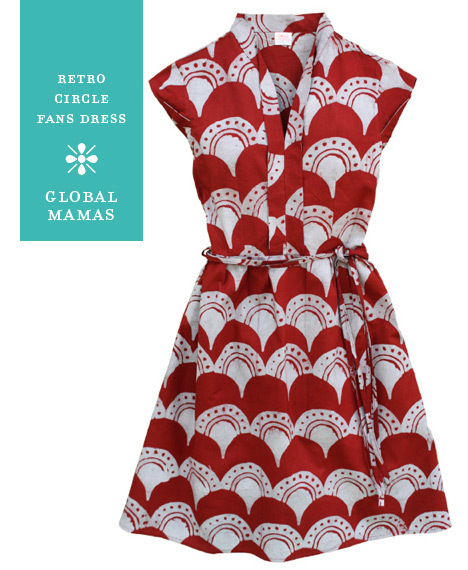 retro circle dress is my fave! I love the lime ornament skirts! 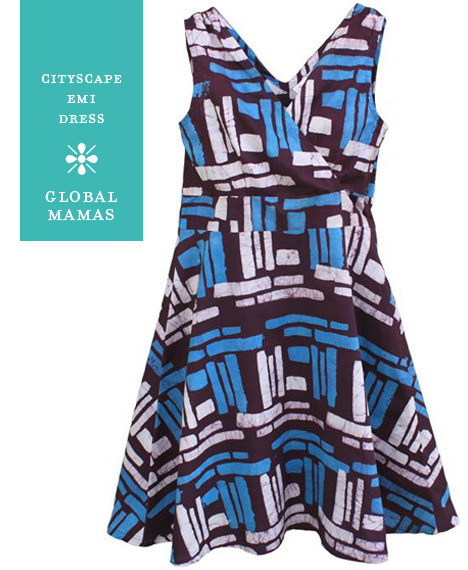 And the patchwork skirts!